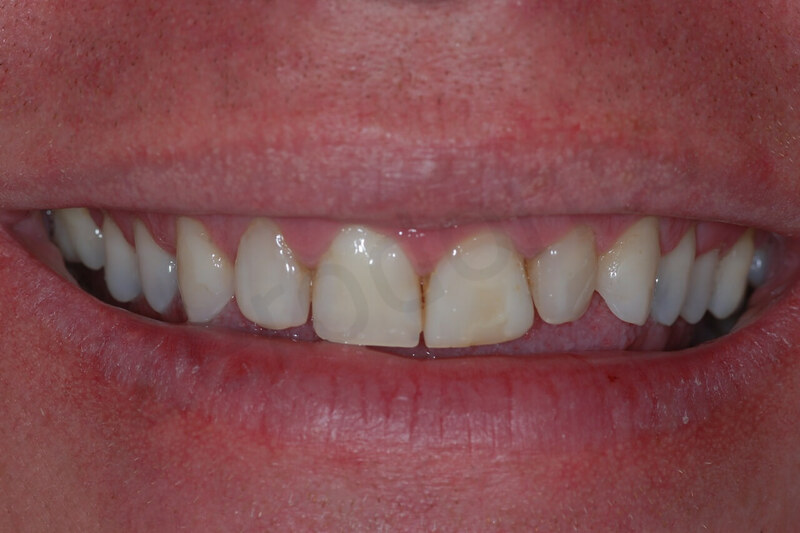 The patient, male, 44 years old, was seeking aesthetics improvement, but was not willing to perform orthodontic re-allignment. 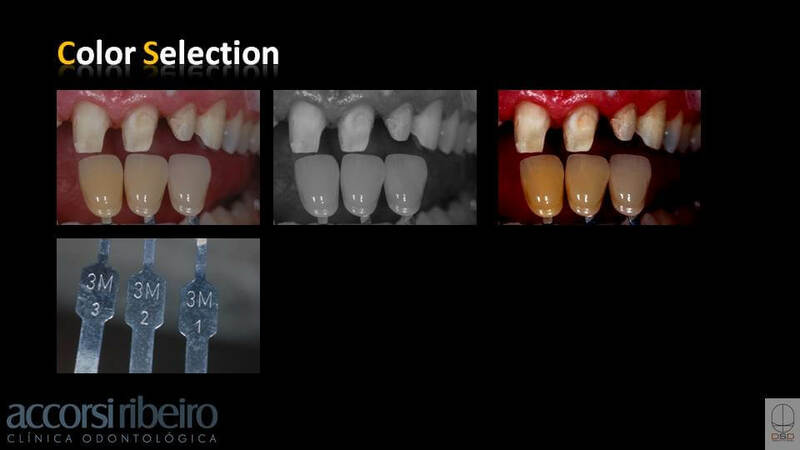 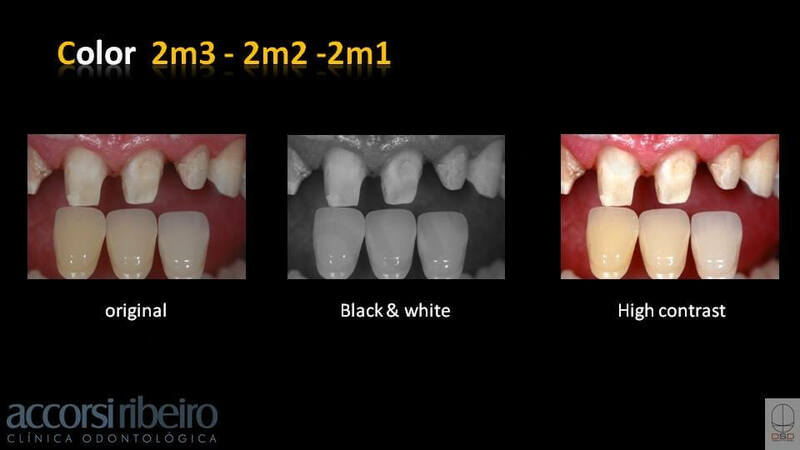 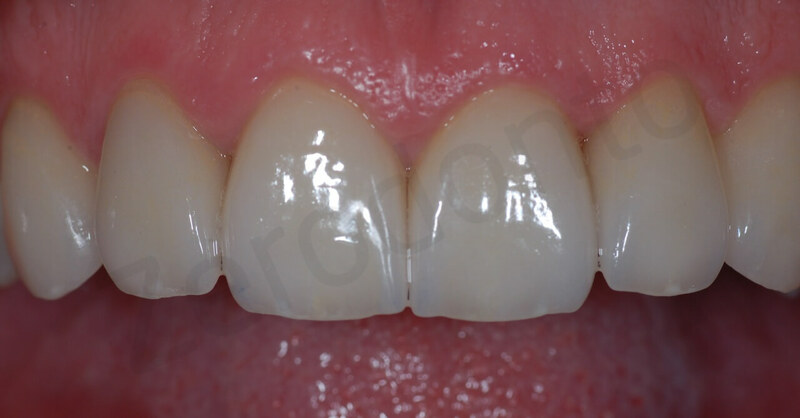 We planned, via DSD, a new smile, with veeners on the teeth 13, 11, 21 and 23, without palatal preparation, in order to preserve more teeth and to keep original proprioception. 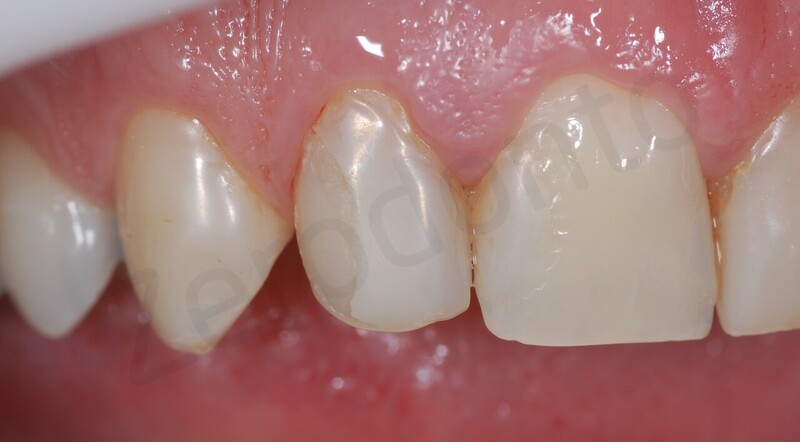 The teeth 22 and 12 receveid full crowns, because they lacked enough structure to hold a veener. 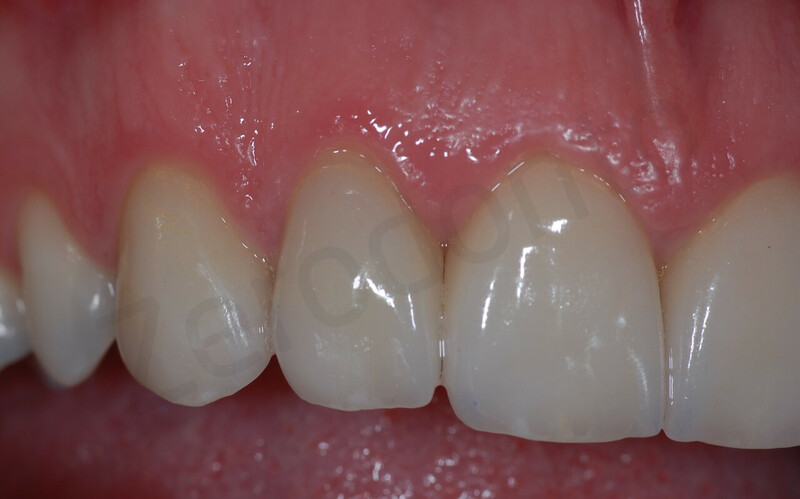 All elements were made with E-MAX and cemented with Relyx. 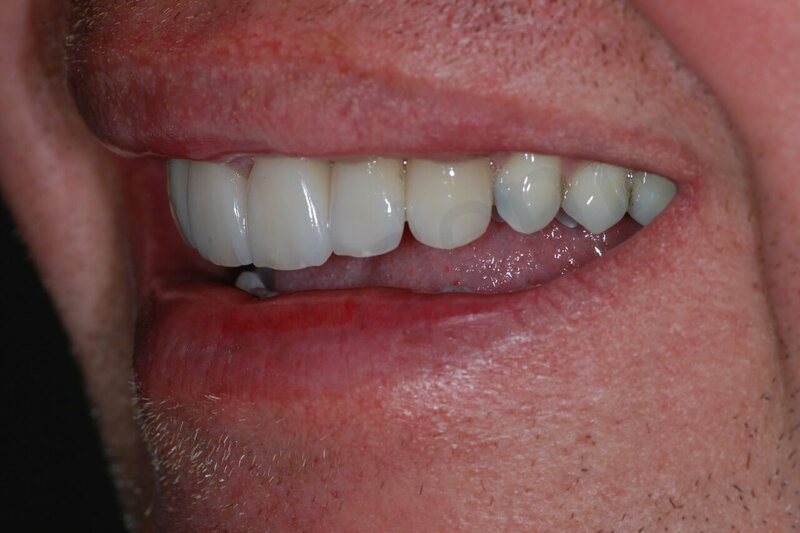 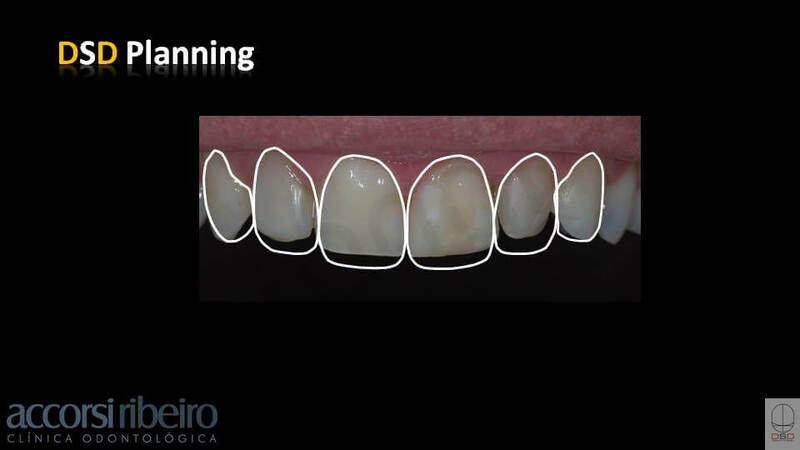 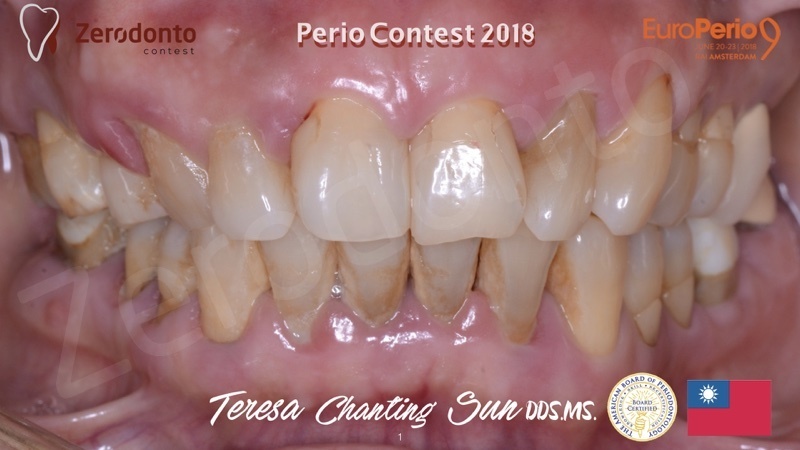 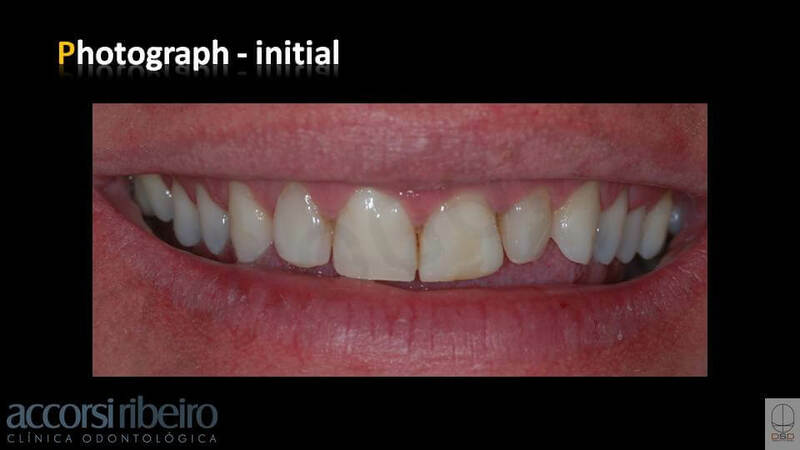 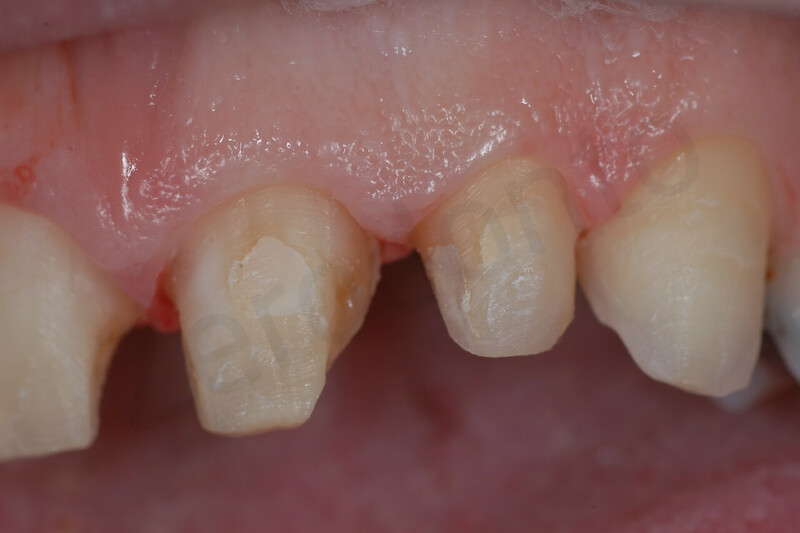 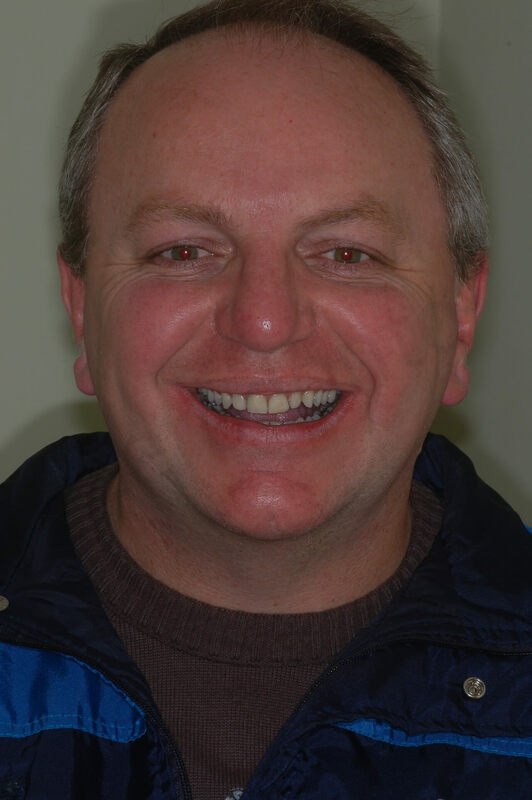 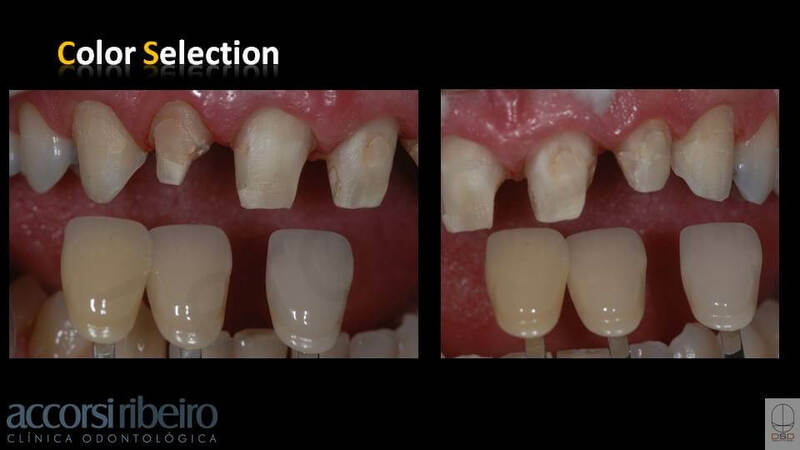 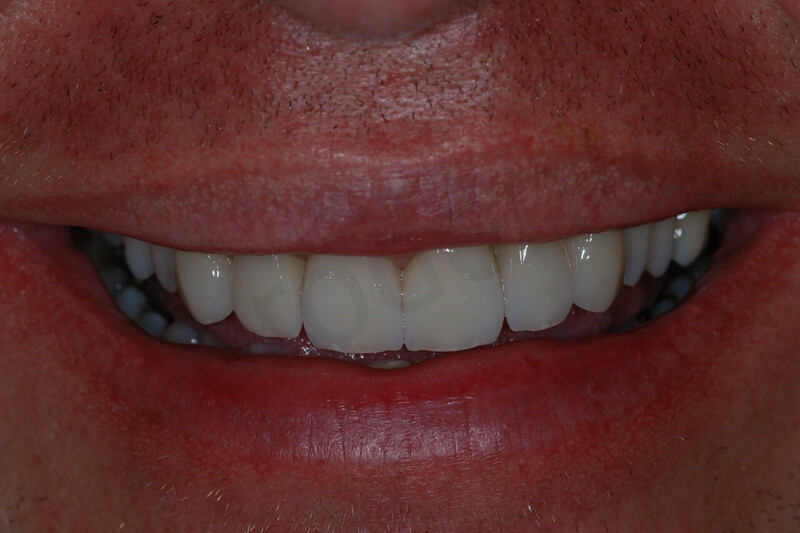 The patient, after the approval of the DSD planning, had the teeth prepared and kept the provisionals for 2 months, so we could made minor adjustments in centric relations and to allow the patient to adjust to the new teeth volume. 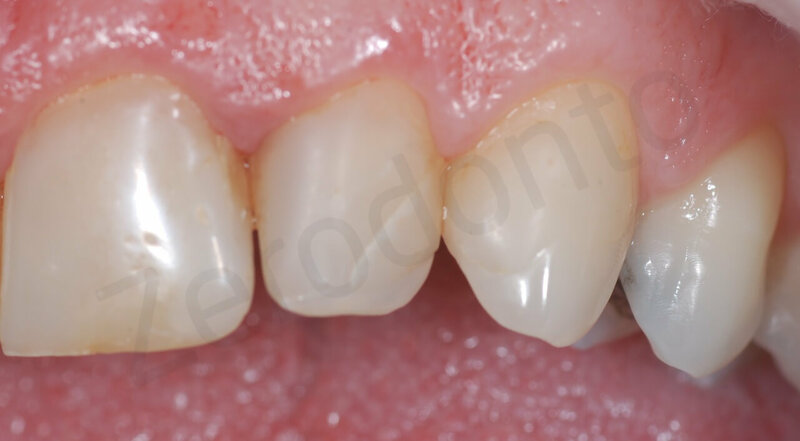 After that, the final work was placed and cemented.